How to play mp4 video in sony PSP, convert to PSP video format? Latest version of ImTOO MPEG Encoder and ImTOO PSP Video Converter supports converting videos to PSP Video format (MP4). This two converters are both capable of converting all popular video formats such as MPEG, WMV, AVI to PSP Video format (MP4, H.264/AVC). 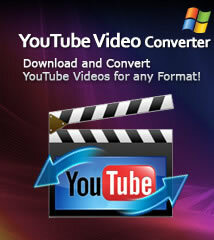 As a MP4 converter, all conversion processes are very easy and fast with hight quality. First, we're going to show you a small application which can put videos on PSP, enjoy movies and videos with 16:9 wide screen on your PSP now! 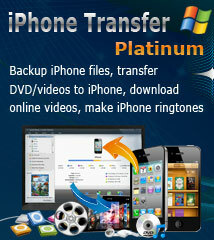 PSP Video Manager helps you easily transfer PSP MP4 files to PSP. You don't need to manually rename PSP MPEG4 files, just a click can done it with PSP Video Manager. How to convert video to PSP video format? 1. Download ImTOO MPEG Encoder or ImTOO PSP Video Converter and install. 2. Run one of the above two video converter apps, load video file(s) by clicking the "Add" button in the main interface or choose "Add" in the File menu. 3. Highlight a file you want to convert, the information of this video file will be displayed in the recording area. You can preview a file in the left preview window. 4. Highlight files you want to convert and choose a output format from the "Profile" drop-down list. There are many PSP video and audio profile for you to choose, such as PSP MPEG-4 Video, PSP AVC Video, MP3 - MPEG Layer-3 Audio. These profiles are for video outputs in different quality. You will get a first-class output file if you select “PSP MPEG-4 Video - Excellent Quality”, but the size of the converted file would be quite large in this way. According to our test, in excellent quality, if your original video file is in 2 hours duration, the output file will be larger than 500 MB, which means it is beyond the capability of 512 MB memory stick. If you choose “PSP MPEG-4 Video - Minimal Size”, the output file will be about 220 MB, which means that you can store two 2-hour movies on your 512 MB memory disk. Generally speaking, we recommend the default setting, “PSP Video Format”, which will produce medium quality in proper size. 5. Click "Browse..." button to select folder or entering the path directly to decide where to save your output files; "C:temp" is the default folder. 6. Click "Convert" to start converting. After the conversion is done, there will be two output files for each single source file. One is a .MP4 video file, playable with QuickTime on PC, another is a .THM file. Both of them are necessary for PSP. The two files are in the same main title, for example, if your original file is "test.avi", after the conversion, you will get two files: "test.mp4" and "test.thm". 7. Now you can transfer videos to your Sony PSP. You can copy those videos to your PSP directly or you can use the PSP Video Manager which we mentioned above. Please get your PSP connected with PC first, and then run PSP Video Manager. The program will detect "C:Temp" automatically and show the PSP files in this folder on the left; the files on the PSP will be shown on the right, shown as "Removable Disk". Please highlight the file which you want to put into the PSP and then click “Copy->”. The file will be transferred into PSP. After this step, you will see your file on the right, which means that the file is playable on the PSP now. What to do next? Enjoy your videos on your Sony PSP!